The online review website SLR Gear has tested the new PRO lens from Olympus called Olympus 300mm f/4.0 IS Pro ED M.Zuiko Digital. This pro lens is super compact and provides a long lang range its 300mm focal length that should fit many wildlife and bird photographers using the mirco Four Thirds standard. SLR Gear ends up giving the Olympus PRO lens a very good review and even calling it “heck of a lens” with stunning image stabilization and excellent image quality. One drawback is a hefty price tag. 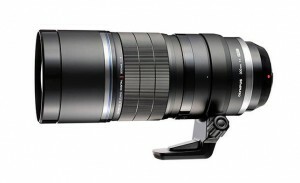 Read the full review of the Olympus 300mm f/4.0 IS Pro ED M.Zuiko Digital lens here. 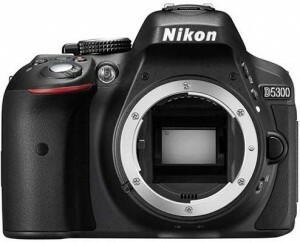 Photography Blog has reviewed a new DSLR camera from Nikon called Nikon D5300. It comes with a might 24.2 megapixels and nifty features such as GPS and Wi-Fi. Photography Blog ends up giving the a “Highly Recommended” rating with 4.5 stars out of 5 possible. Overall the Nikon camera scores very high with highest scores on value for your money, features, design and image quality. The only place where the D5300 scores a little lower is on how easy it is to use. This DSLR seems like a mighty fine camera, but not that much has changed from the previous model: the D5200. Read the full review of the Nikon D5300 DSLR camera here. 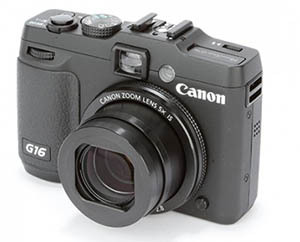 Trusted Reviews has tested the new high end compact camera from Canon called Canon PowerShot G16. This series of cameras has been very popular so it will interesting to see how the latest edition performs. Trusted Reviews ends up giving the G16 an overall score of 8 out of 10 possible stars. The Canon camera scores highest on design and image quality, a little lower on features and performance, while it scores lowest on value for your money where it only gets 6 out of 10 stars. If you have plenty of cash and look for an advanced compact camera that produces excellent pictures, this camera might be your choice. Read the full review of the Canon PowerShot G16 digital camera here. It seems like Canon is finally jumping the mirrorless camera bandwagon. The camera will be called Canon EOS M and come with 18 megapixels in an APS-C sized sensor. The camera will also launch with two lenses (EF-M 22 f/2 STM & EF-M 18-55 IS), a new flash and a lens adapter for EOF lenses. 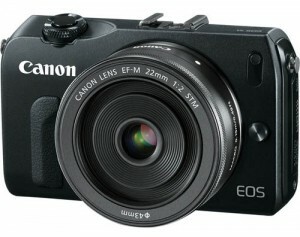 The Canon EOS M should be announced tomorrow, Monday 23rd of July.